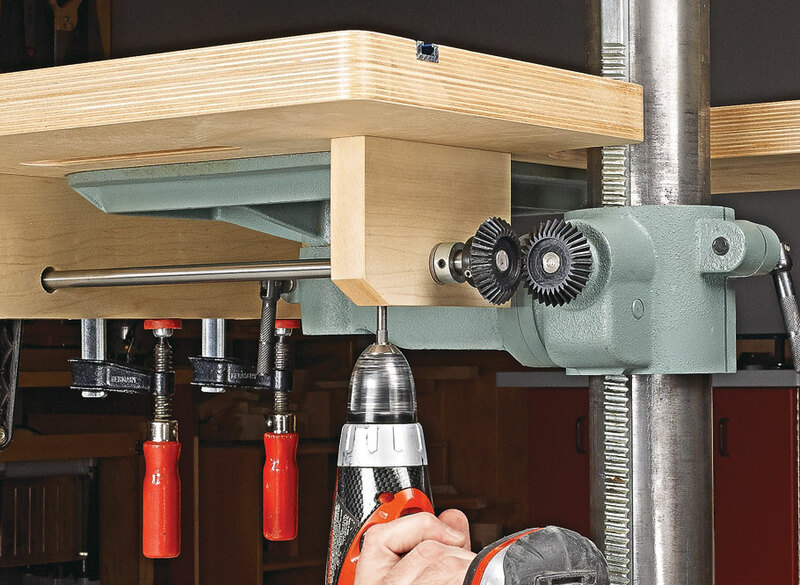 Upgrade your drill press with this handy add-on that features up-front adjustment handles. 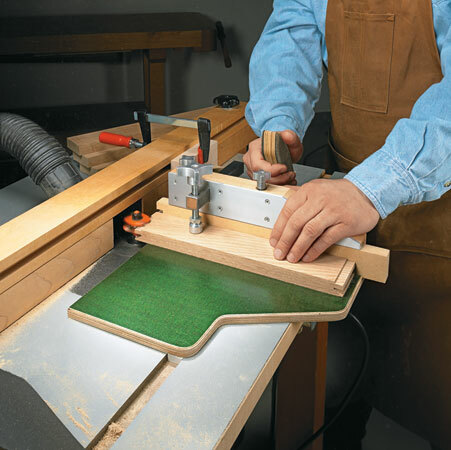 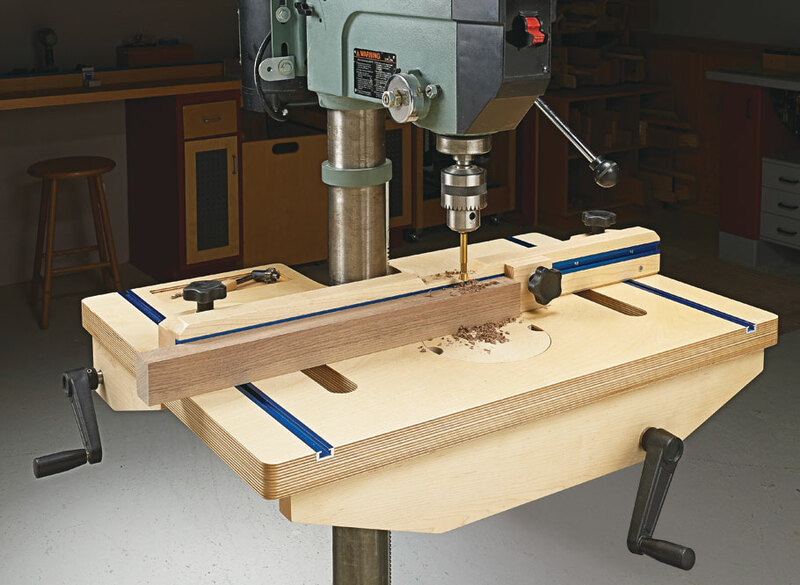 Adding an auxiliary table to a drill press is a sure-fire way to improve its capabilities. 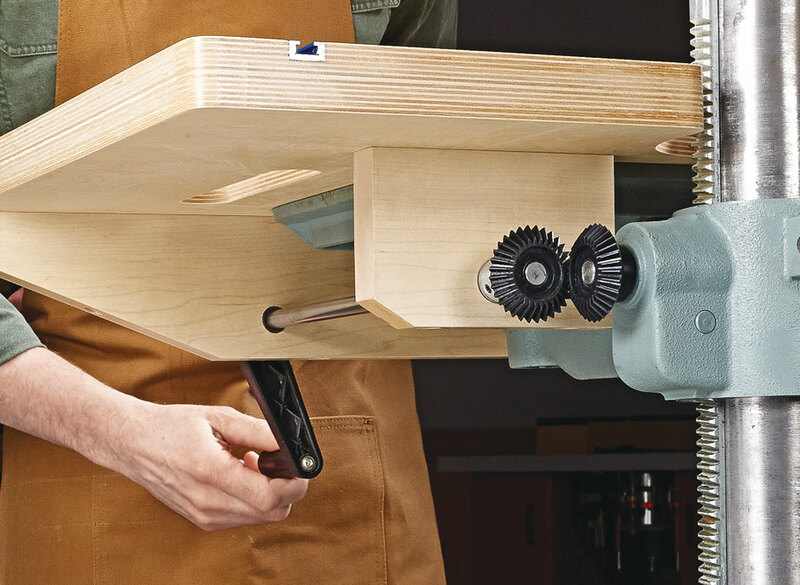 An increased work area, a precision fence, and a replaceable insert are just some of the benefits. 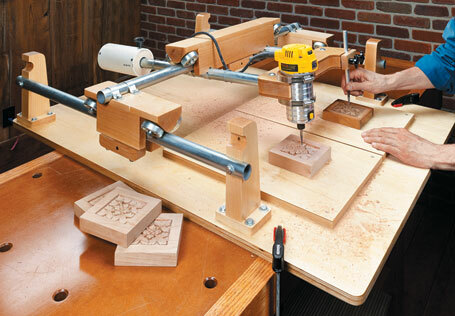 All of these features are standard on the drill press table you see here. 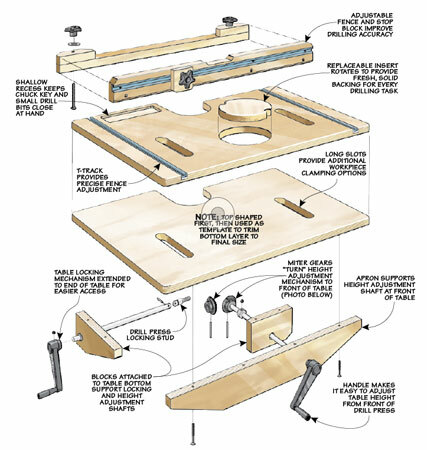 But we also added a way to adjust the height of the table from the front that is quick and hassle-free. 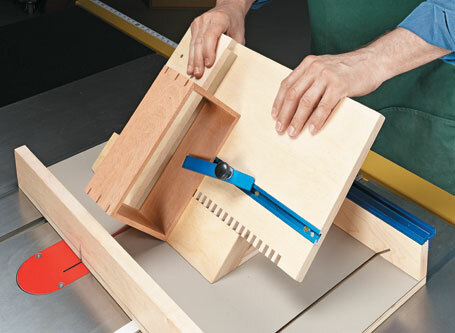 Packed with features, this sled makes it easy to rout perfect-fitting joints.